Karen Goh heads the Henry Goh companies in Malaysia and Singapore. She graduated with Bachelor of Laws from the University of London. Karen obtained work experience from other legal firms before joining Henry Goh in 1997. Working with her father at the helm provided her with invaluable experience and knowledge of the IP industry. This stood her in good stead when she took over as Managing Director in August 2008. Her vision for the firm is broad and bold: with the aid of her team, she intends to make Henry Goh one of Asia’s top ten intellectual property firms. She continuously strives to establish increased awareness of intellectual property protection and rights among consumers and business people alike. Karen is a member of the International Trade Mark Association (INTA), Malaysian Intellectual Property Association (MIPA) and the Asian Patent Attorney’s Association (APAA) and frequently participates in domestic and international conferences. 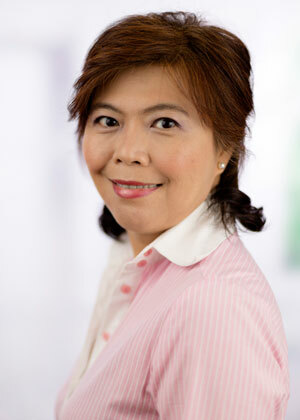 She is also a corporate member of American Malaysian Chamber of Commerce (AMCHAM), British Malaysian Chamber of Commerce (BMCC), Malaysian Dutch Business Council (MDBC), Malaysian-German Chamber of Commerce and Industry (MGCC) and other local and foreign business councils and chambers of commerce. Karen’s unassuming nature, her keen sense of corporate responsibility and compassion are comparable to those of her late father and she remains actively involved in humanitarian causes and charitable projects. In leisure hours, she relaxes with yoga and is also an enthusiastic member of the Toastmasters Club.